As you may know, I get a kick out of trying exotic foods. The weirder, the better. I’ve eaten balut (duck embryo), durian (stinky fruit), and alligator, just to name a few. 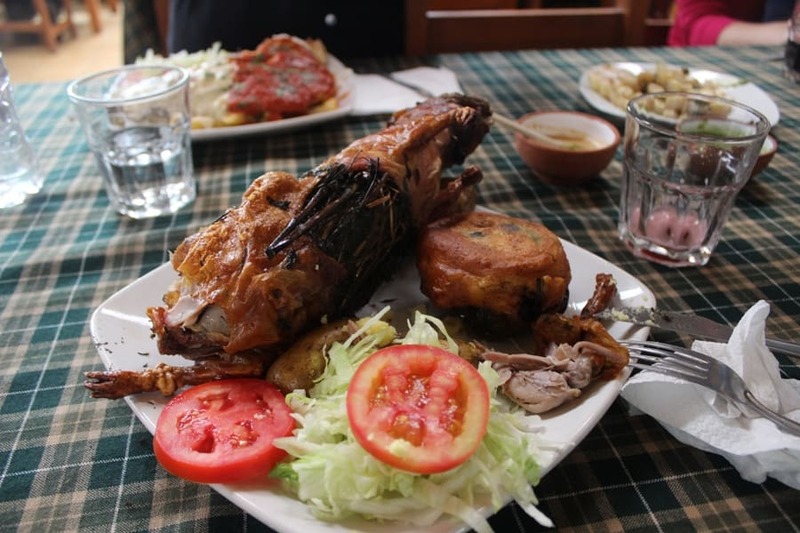 So call me cruel, but when I decided to come to Cusco, I was ecstatic about eating a guinea pig, or as the Peruvians call it, “cuy” (COO-ee). 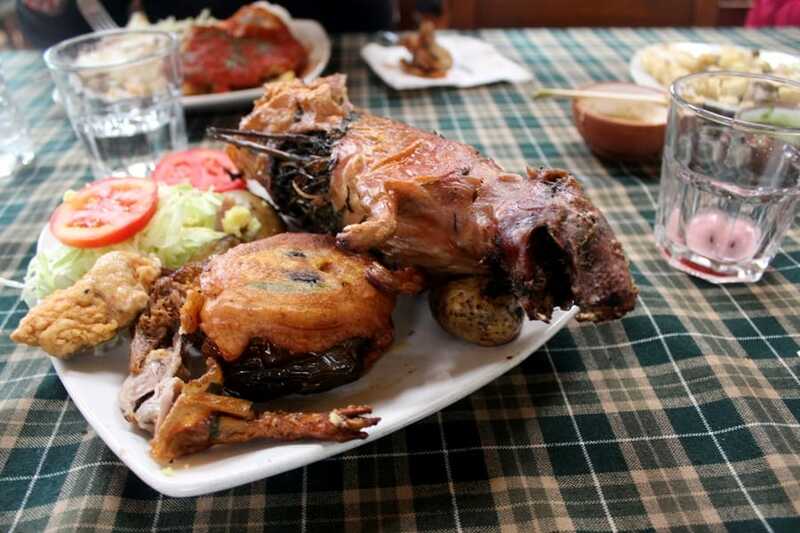 To begin with, you should know Peruvians don’t eat cuy on a regular basis. 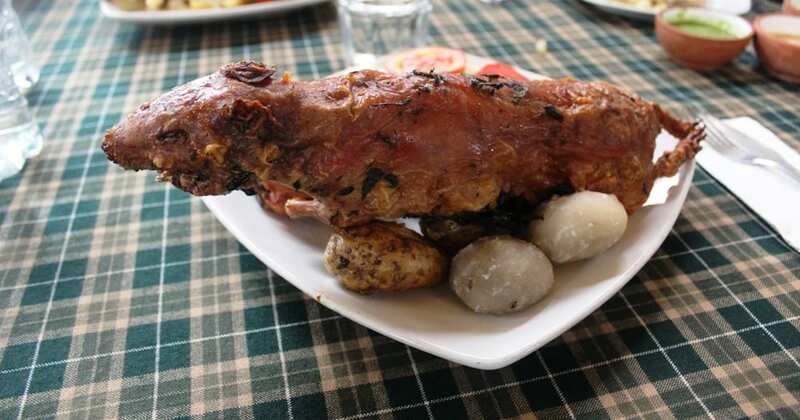 The pricey delicacy is normally saved for special occasions–birthdays, fiestas, and holidays–but with the influx of curious tourists, many Peruvian restaurants now keep cuy on the menu, if only to satisfy the appetites of adventurous foreigners. Believe it or not, guinea pigs originated in the Andean region (Colombia, Ecuador, Bolivia, and Peru) and were originally raised specifically for eating. It wasn’t until the Spanish came and started sending guinea pigs to Europe that the furry creatures were treated as pets. Guinea pig meat is special because it’s higher in protein and lower in cholesterol than chicken, pork, or beef. I know a girl here in Cusco who volunteers with a program that raises guinea pigs specifically to feed to cancer patients, as the meat is healthier for them. The cuy was revered by certain indigenous Peruvian peoples such as the Moche, Incas and the Quechua. 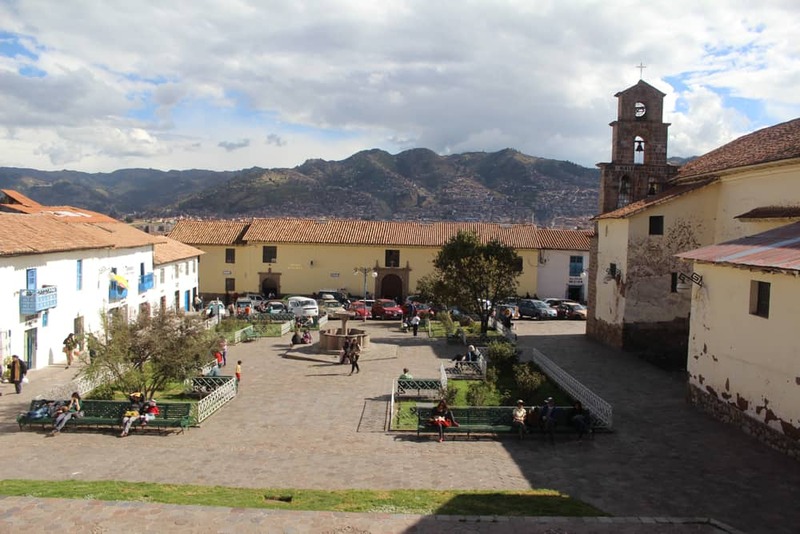 In fact, in the Cathedral in the main square of Cusco, you can find a Quechua painter’s rendition of “The Last Supper”–with cuy being served! 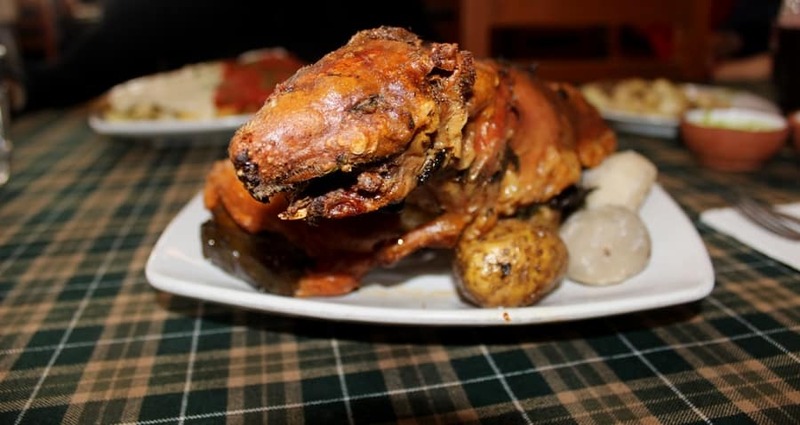 Cuy al horno (Baked Cuy) I recommend trying this one because this is the way it is traditionally served in the Andean region, stuffed with herbs, baked over a spit, and served whole. 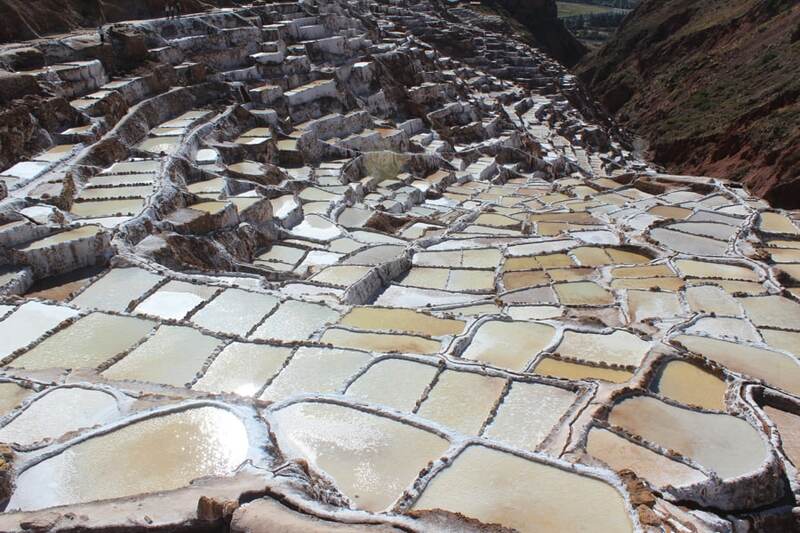 This way of preparing cuy is indigenous to Ayacucho, a city to the west of Cusco. 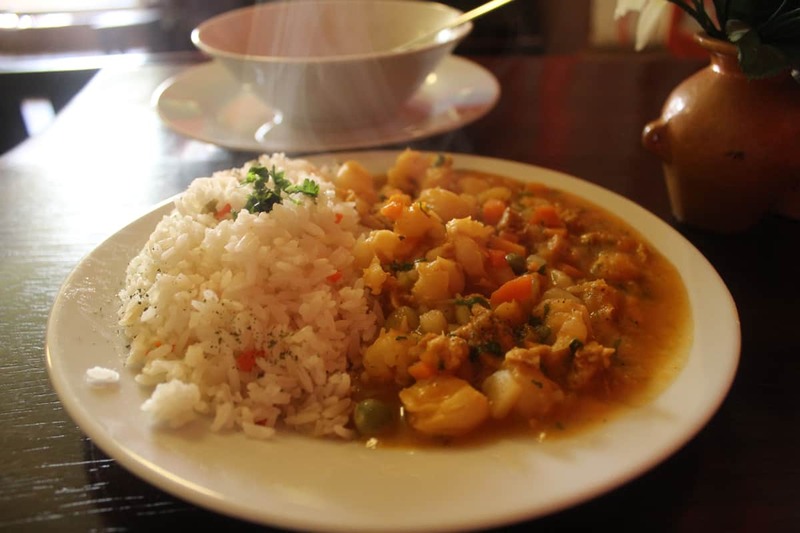 It’s more difficult to find cuy chactado in Cusco, but I have seen it on the menu at La Cusqueñita. I asked my host, Manuel, a native Cusqueñan, and he highly recommended La Cusqueñita, a traditional (albeit, touristy) restaurant on Ave. Tullumayo in central Cusco. Here, cuy al horno costs 45 Peruvian Soles, or about $16 USD. It tastes like a dark meat chicken or duck. Some people describe its flavor as being close to pork. It didn’t taste too “gamey” to me. Honestly, it doesn’t taste nearly as bad as it looks or sounds. It’s just another meat. There actually isn’t much meat on the bones; the meatiest parts are the hind legs. Ripped off its hind legs. I was told to! Coincidentally, three days later as I was touring the nearby town of Ollantaytambo, my tour guide took me to a house where a woman raises guinea pigs for human consumption. And–oh crap–they’re kinda cute. Look at those furry faces! Those eyes…WHAT HAVE I DONE? What’s the most “adventurous” food you’ve tried? Would you eat cuy? I probably would eat Cuy, if it was precut and not staring at me. I have the same problem with whole fish or crab. It’s hard for me not to bellow out ‘Do not look at me while I’m eating you!’ I love me some frog legs and alligator and I’ve had snails in bone marrow at a fancy SF restaurant, so I’m mostly game for the adventurous side. Mostly. There are things I will say no to. I don’t know for sure, but I’d have to say the line in the sand is Duck Fetus. I can live vicariously through you on that one. I have yet to try frog legs! And which SF restaurant was this? I’d like to go. So balut is more like egg…with an underdeveloped chick inside…does that make it sound better? Haha. No, I would not intentionally eat guinea pigs unless I was starving. Then it would have to be meat only in some dish. I get sick looking at that fried face. 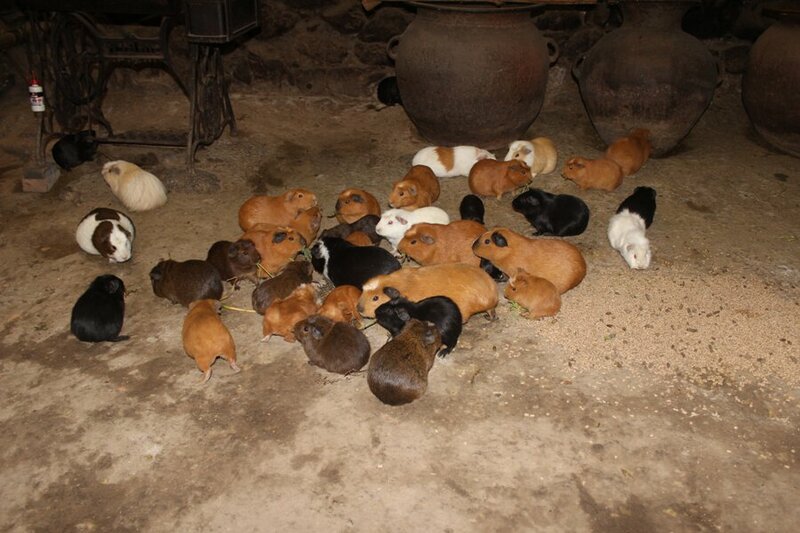 I never realized people eat guinea pics until I read your blog. Since then I have read or heard several stories on eating guinea pigs. Just yesterday on NPR I heard a broadcast. I think it is the fried face. I have sampled a chocolate ant, a snail, a frog leg, turtle and the not so unusual deer, rabbit, squirrel. I feel kind of bad about the turtle. I really like to eat the same ole same ole. NOT adventurous. Did not really care for those things. The frog leg was good. You’ve tried some pretty adventurous things! I’ve yet to eat an insect–oh wait, I ate silkworms back in March…haha. I was dared to. Oh my gosh. 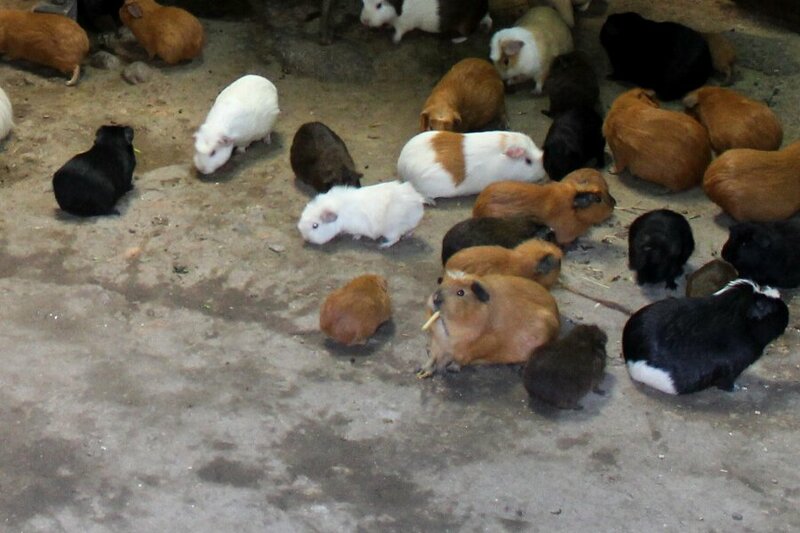 Growing up I had cumulatively about 12 guinea pigs. I loved those little rodents! I’m thinking about making this for a project in class. At first I had doubts if they would like it, but after reading this I think they will, if they are brave enough to try it, like it.